Marc Evan Aupiais: My name is Marc Evan Aupiais. My name is Marc Evan Aupiais. 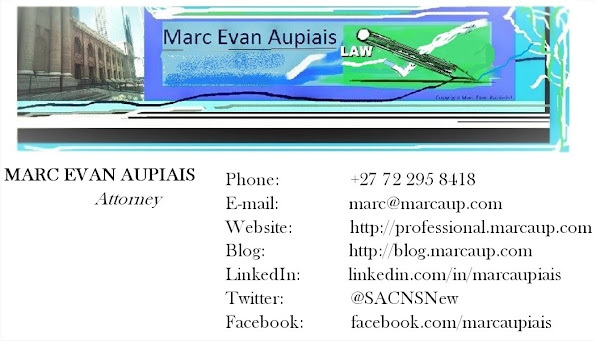 My name is Marc Evan Aupiais. I am a LLB Law graduate, a journalist with half a decade's experience, an editor of online publications, an IT expert with programming and databasing knowledge and formal education in the area, web designer, legal and factual researcher etc. My greatest skill is in presenting myself and in presenting my views. In high school, all the children said I should go into law. In first year, I was instantly electable, often unanimously: to positions of authority, this continued in later years. I am told I come across as intelligent, presentable, and knowledgeable on subjects I speak of. I've been told that I take questioning well, and am at ease during a crisis. I have a fascination with language, and have extensively investigated my own home language of English. I love to read, especially older books, and enjoy reading non-English works also. Law absolutely fascinates me, as do most of the workings of the world. I have extensively investigated, where I can: the world's cultures, legal systems, morals, courtesy, language systems and intricacies, and religions: for the purposes of my own interests. In my spare time I have also written a number of novels, and edit a network of on-line informative services, which have had an unexpected proportion of success. 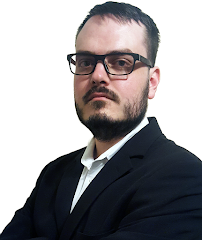 I consider myself a global citizen and a South African patriot, and have many connections in different countries across the world, who have aided me in better understanding other points of view. I like to argue a controversial matter, and do not fear debate, nor do I easily fall into fear, when faced with a predicament. I believe success requires more than hard work, it requires intelligence, perseverance, and where necessary, the assistance of those better versed in a matter than I am, which advice I am not afraid to seek out to better my argument, and where necessary: myself. I especially have a passion for evidence law, and criminal law.